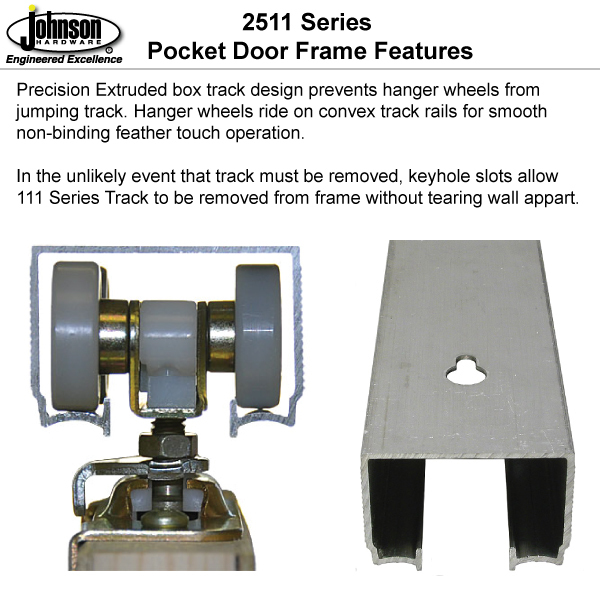 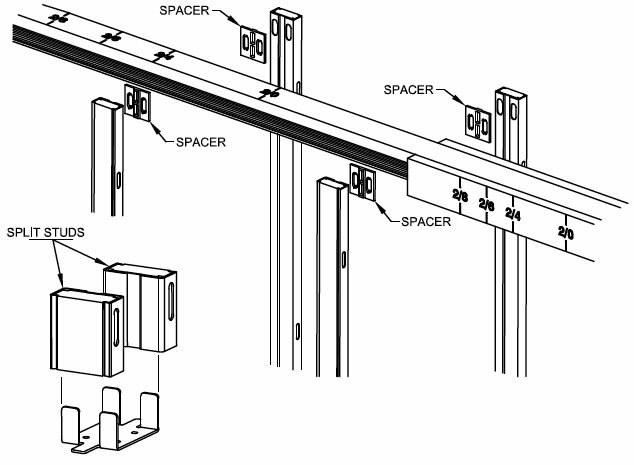 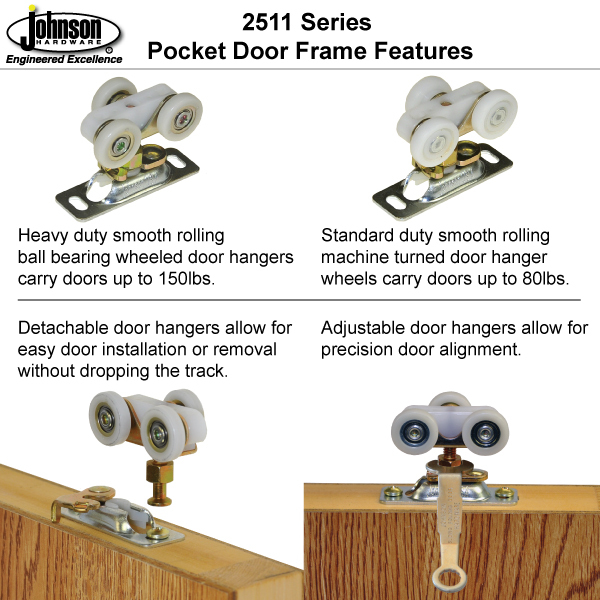 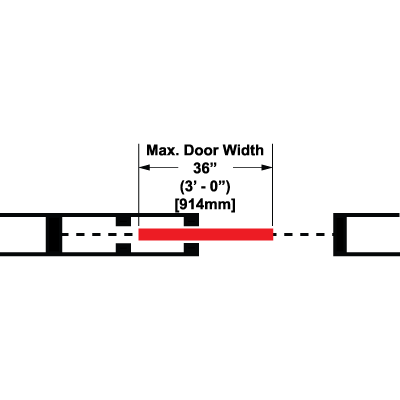 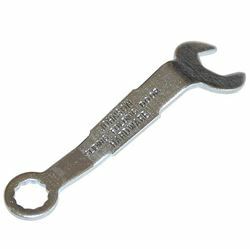 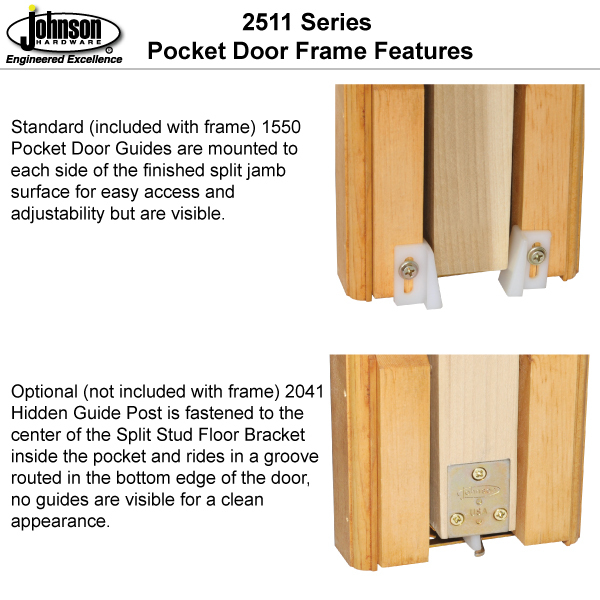 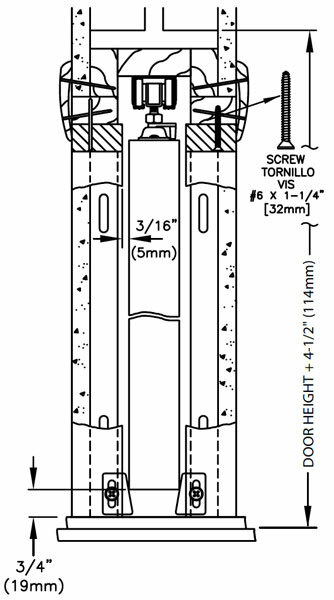 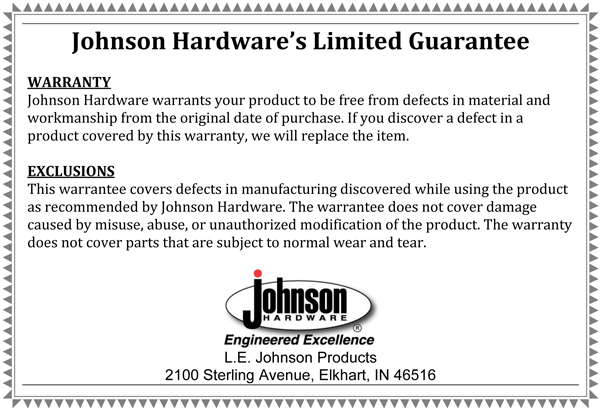 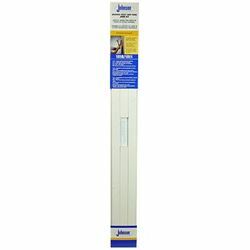 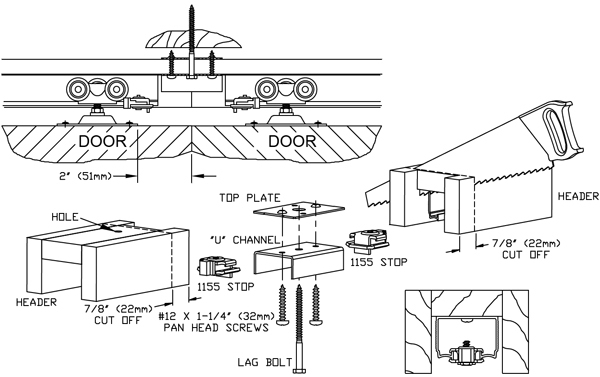 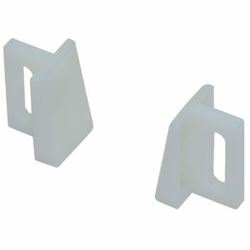 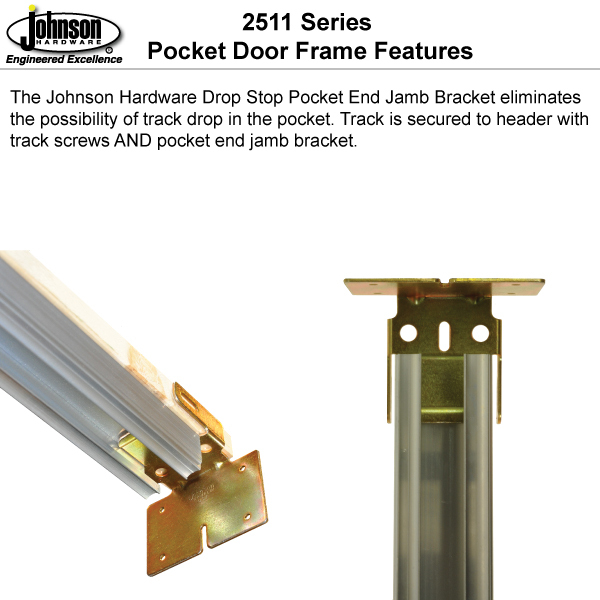 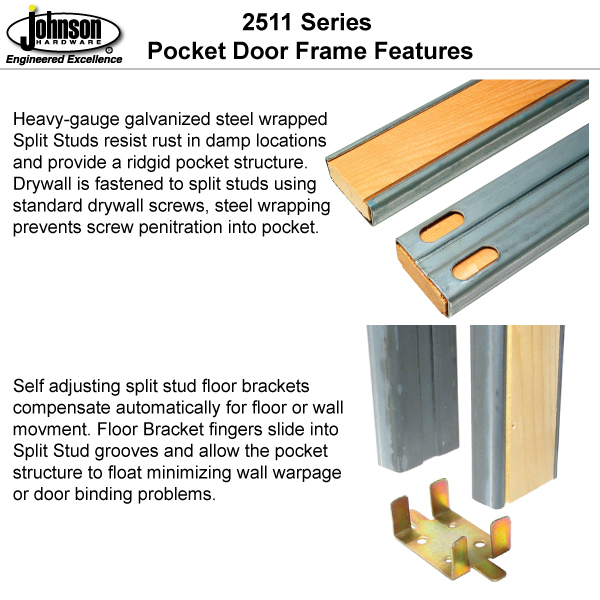 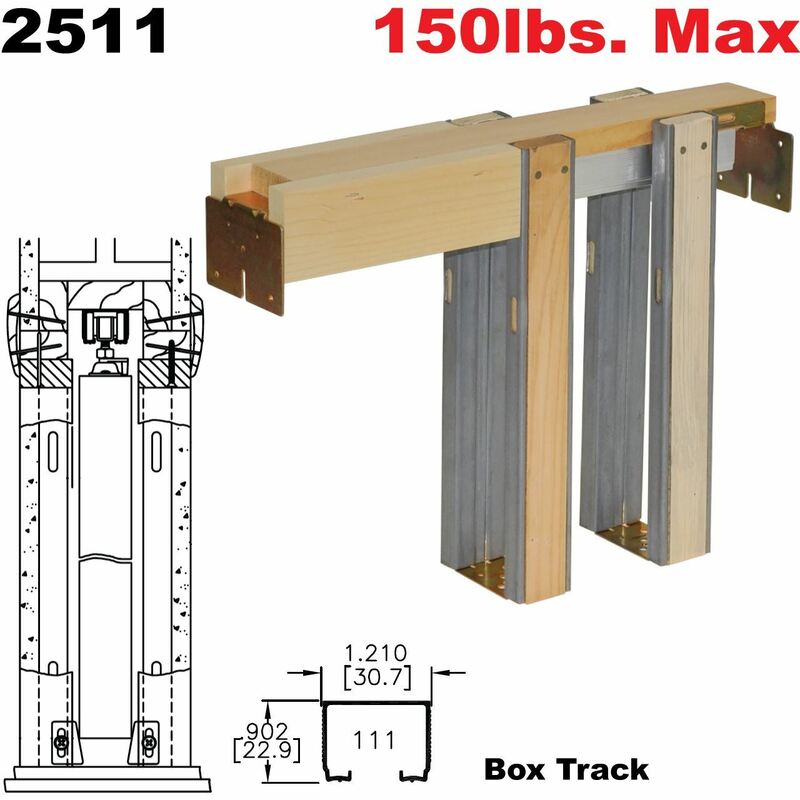 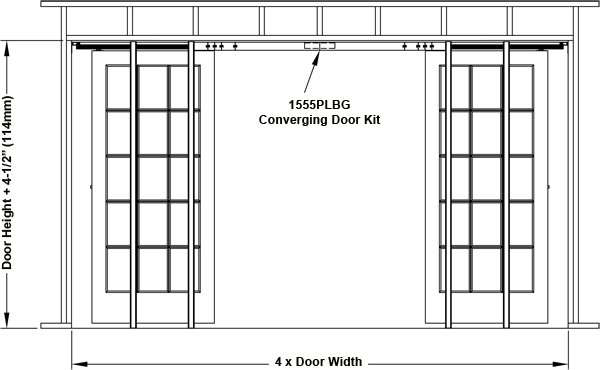 The 2511 Series Pocket Door Frame is identical in every way to our 1500 Series Pocket Door Frame except that the 2511 utilizes our 111 series track instead of the larger format 100 track installed in the 1500 Series. 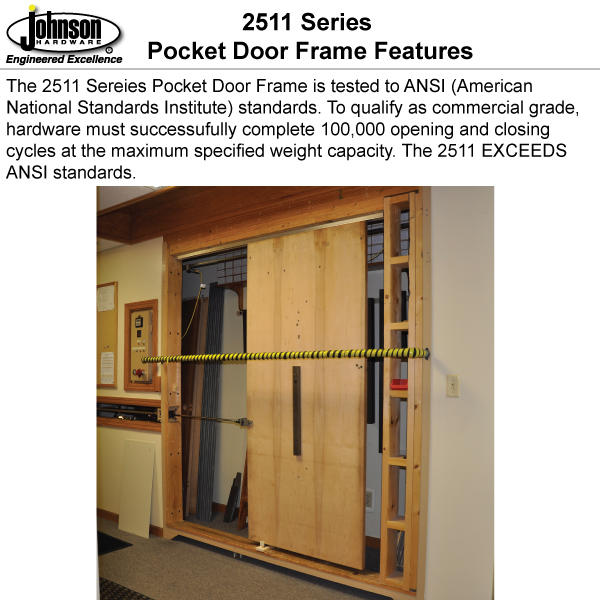 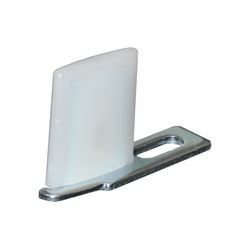 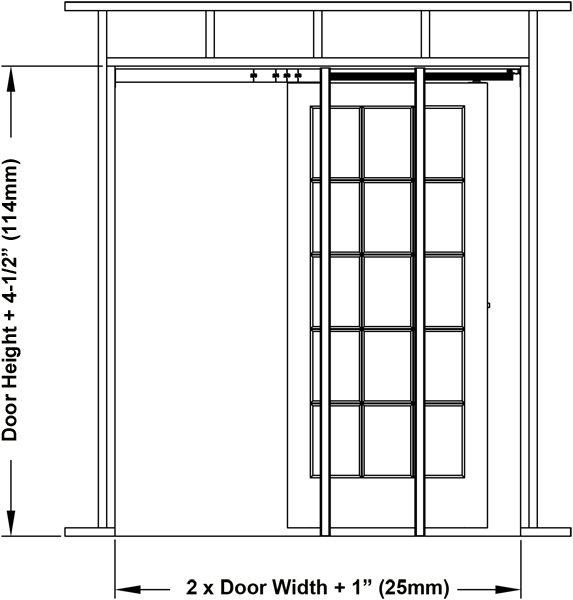 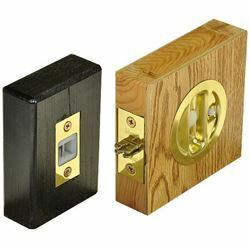 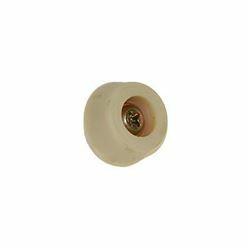 The 2511 is also only available for standard door sizes where the 1500 is available for a variety of door sizes. 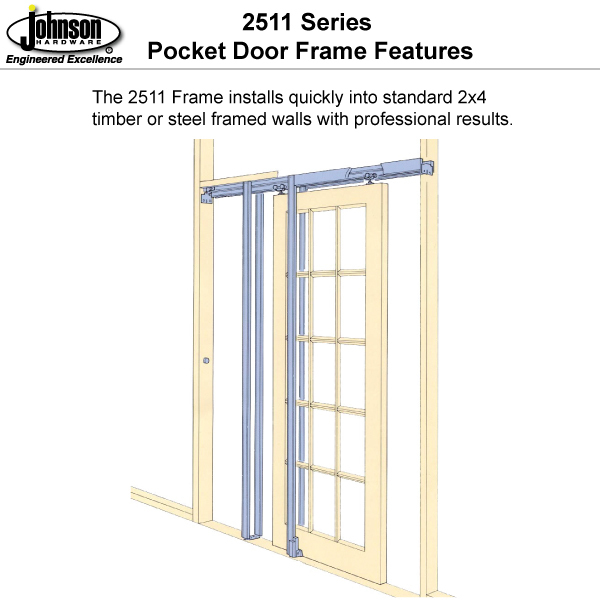 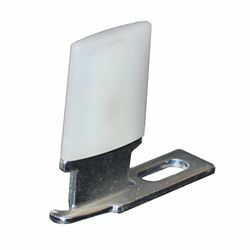 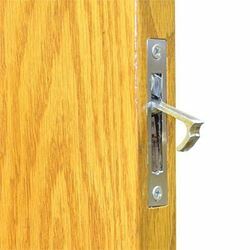 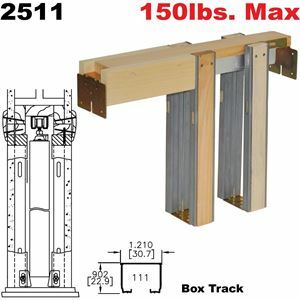 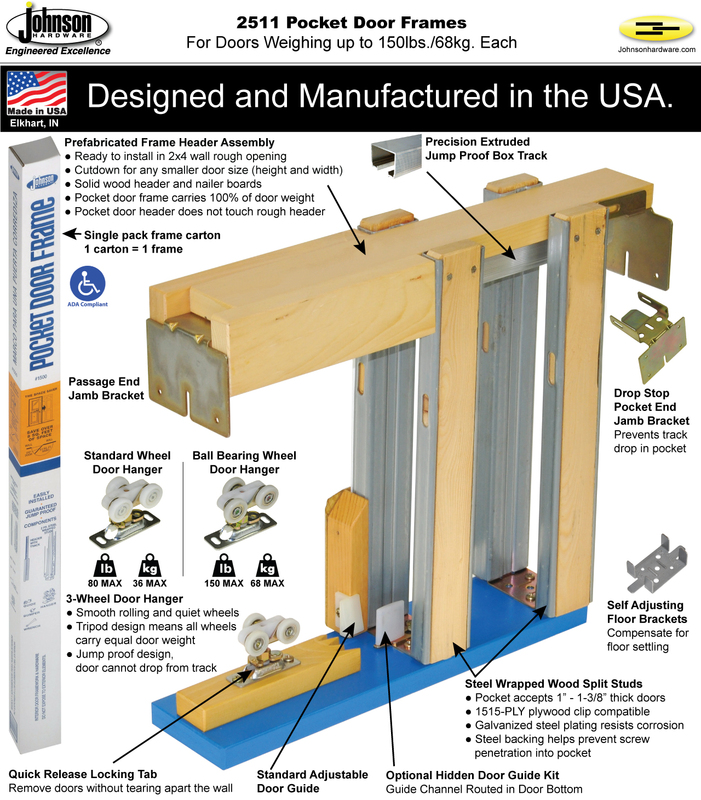 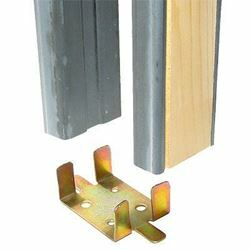 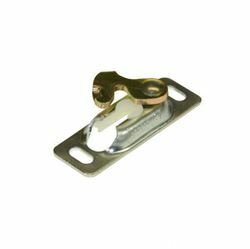 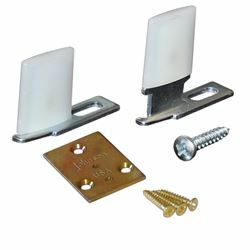 Easily assembled, structurally strong pocket door frame designed for fast installation in standard 2 x 4 timber framed stud walls typically sheeted with drywall. 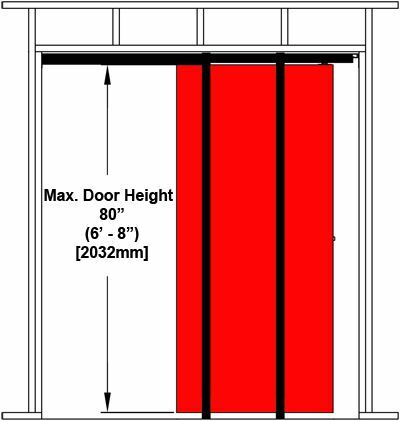 Versatile frame can be adapted for use in thicker walls or cut down to accept any smaller size door. 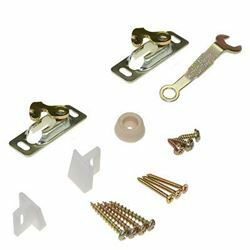 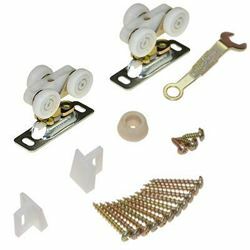 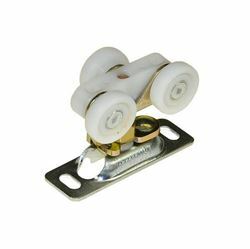 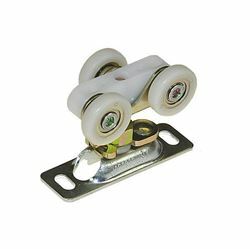 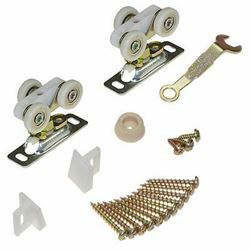 Removable aluminum track with low friction convex track rails, guaranteed jump proof smooth rolling tricycle hangers, rust resistant zinc plated steel reinforced timber split studs and self adjusting floor anchors.